Despite working pretty hard since I got back from holiday, and slashing a crucial knitting finger while cutting bread this week (not to mention the various addictions of facebook) I've managed some craft output. 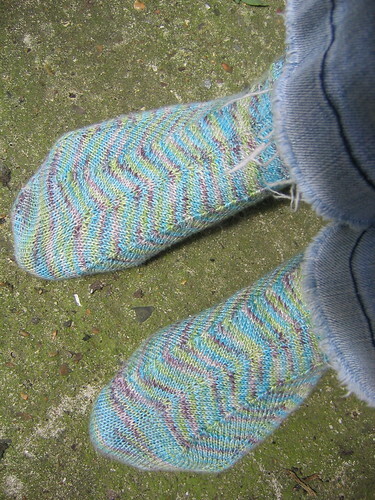 A pair of socks - toe up jaywalkers with a short-row heel, using Tofutsies. The yarn smells funny. Really funny, to the extent that it makes your fingers smell. And I don't like the colour nearly as much as I thought I would (bought it online). 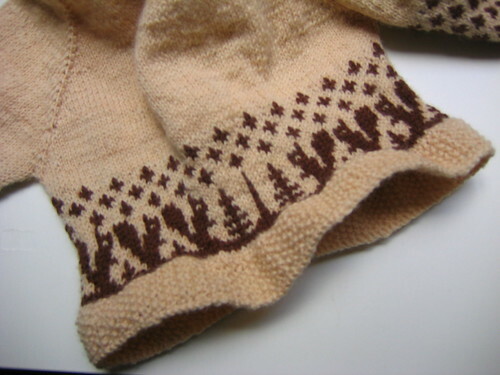 That said, it feels nice enough and it is exciting to have socks with chitin and soysilk in it! I still have 45g left. 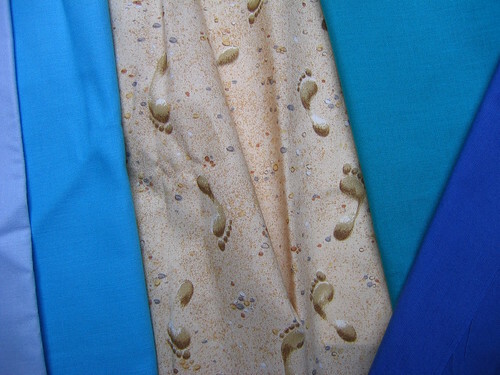 I suppose I could use it for a slightly psychedelic baby-top. The top of the quilt's done. I was going to finish it today, but I think I might use a sparkly top thread, which'll require a shop trip. I'm plugging along with a couple of double-knit scarves a friend asked me to knit (you can see a sneaky WIP shot here) and cast-on a tweedy Rosalind yesterday. I have a question with all these scarves. I hate fringes. Hate them. 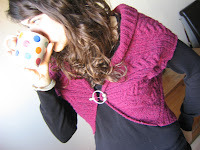 With the double-knit ones I really don't think they need them, so (like exchequered) I think I'll leave it fringe-less. But with Rosalind I think I need something. Am I alone in this hatred of fringes, and does anyone have an idea for an alternative? No, I'm not off to the seaside (tried that last week, it rained). I'm about to start my very first quilt. So, it needs a block. And buttons. And, er, to have the ends woven in*. But this is done and I love it and I'm too excited to put off posting. Plus I'm about to go on holiday till the weekend. It's for a baby. 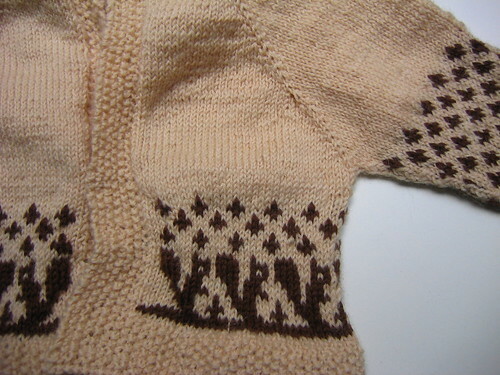 A tiny top-down raglan, made with leftovers (and based on the pattern for) these mittens. *Though only a few because I was good and did them while I worked.